The Universe is vast and even the relatively small portion we can observe contains hundreds of billions of galaxies, each comprising hundreds of billions of stars. Many fields of inquiry would be hugely advanced if we had full knowledge of its layout, but producing a detailed map of the entire cosmos is a prohibitively expensive task. Fortunately, most of these studies don’t require a complete detailed map, and as such, Intensity Mapping has been gaining ground as a preferred method of inquiry. Intensity Mapping uses the bulk emission of light from hundreds or even thousands of galaxies to determine an overall density of material within a region of the cosmos. It can be seen as using a low-resolution image to measure the larger properties of structure. As an analogy, online maps of Earth are fantastically useful, even though they fail to chart the location of every grain of sand. Hydrogen Intensity (HI) Mapping looks at specific spectral lines from neutral hydrogen, most often the 21cm radio-wave emission. By measuring both the intensity and frequency where it is found, we can build a three-dimensional map of hydrogen in the Universe. For more than a decade, experiments have been ongoing to use HI mapping to measure the Epoch of Reionization (EoR), the period early in the Universe’s history when the first stars ignited, flooding space with ionizing ultraviolet light. 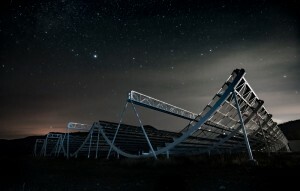 The EoR constitutes a major science focus of the Murchison Widefield Array (MWA) project, and is a driver in the recent upgrades to the telescope. 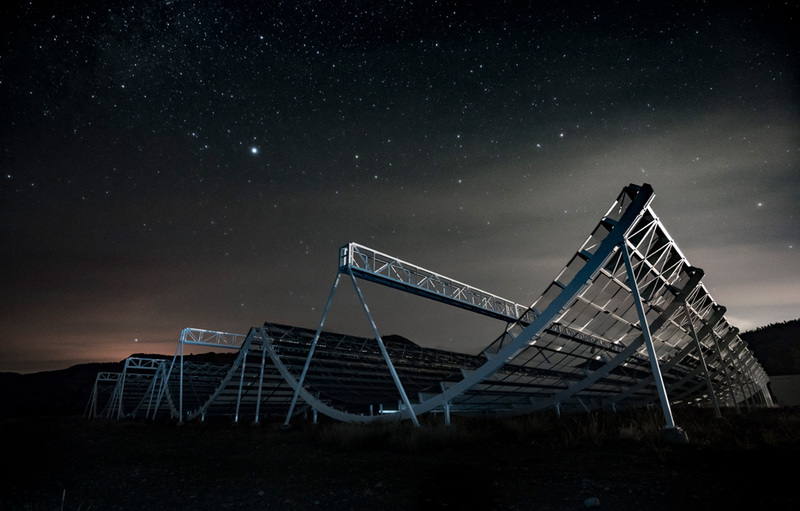 At lower redshifts, the Canadian Hydrogen Intensity Mapping Experiment (CHIME) is using HI mapping to survey a huge, three-dimensional swath of the observable Universe, larger than ever attempted before in a single survey.